This userscript auto-collapses non-reply/quote notifications in TweetDeck. The idea was to make "Notifications" column usable without having to add a separate "Mentions" column. Collapsed notifications display the context on mouseover and can be expanded/collapsed by clicking them. 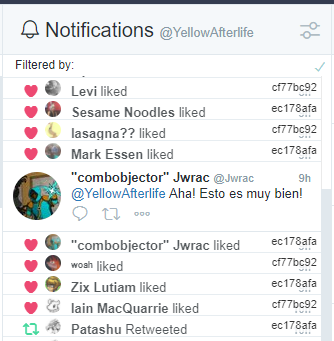 Stuff in top-right corner indicates what tweet notification relates to (notifications about the same tweet will have the same sequence); when mouseovering a notifications, all notifications with same context will light up together with it (to further ease telling what happened to what).